There is no better way to separate you from the pack than with quality presentation materials for your brochures, handouts, mailers, flyers, and supplements to presentation packets. Effectively positioning your organization requires integrating your unique business attributes and opportunities with marketing know-how and professional grade editorial and image presentation. 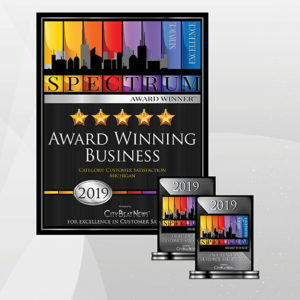 Full-page company profile written by our expert editors showcasing your business’s accomplishments and your award status. Professional layout and design of your company profile including your logo, photos, and/or artwork. 500 Full-color, glossy prints of the profile to use as collateral marketing materials. 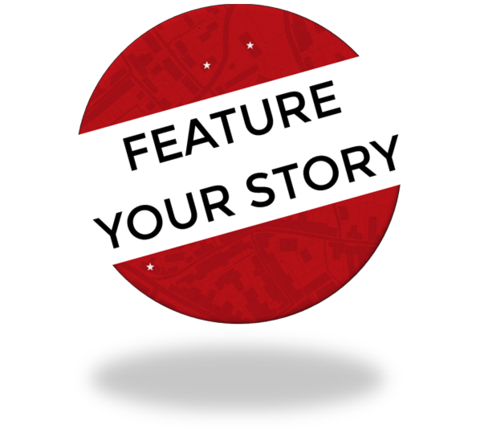 Placement of your profile on our website in the CX Press. Featured placement on the Stirling Center for Excellence website at www.stirlingcenter.org. Licensed use of weblinks to all published digital placements for your marketing use, website placement, and social media promotion. Licensed digital version to use in your marketing campaigns, on your website, blogs, and social media. 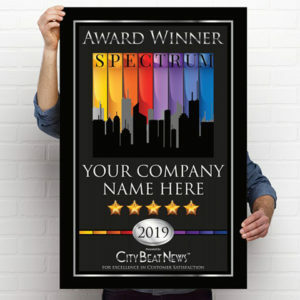 The Award Plaque, a 10” by 13” blackwood-plaque-mounted-and-framed, full-color Spectrum Award. 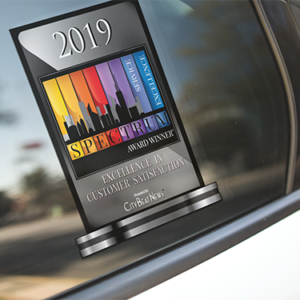 The plaque’s inscription includes your company’s name, location, award category, star rating and year. 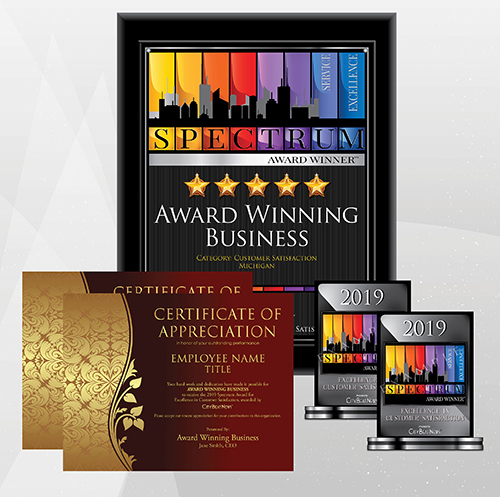 Two (2) full-color, high quality 8.5″ x 11″ Appreciation Certificates for staff with either our standard wording or personalized to your specifications with the assistance of a CBN customer care specialist. Use them in combination on your website, social media pages and campaigns, and other marketing materials to build brand recognition and trust. Remind current and future customers of the honor you have worked so hard to achieve and further the momentum and growth you’ve attained.